I never really closed up the event. It’s not really in the best interest of the blogger to begin a post in this negative fashion but I have to be honest. However, this kind of neglect is going to work on my favor because I’m going to talk about a topic in the framework of my favorite piece of literature. I’m going to spend the next several few lines talking about literature, translation and communication. Aaaaaaannd even though I have written about this book before, I’ve never properly reviewed it so I thought I’d knock out a few thoughts on the story as well and count this as my official review. This will be quite different than my usual review format but stay tuned, it’ll be fun! 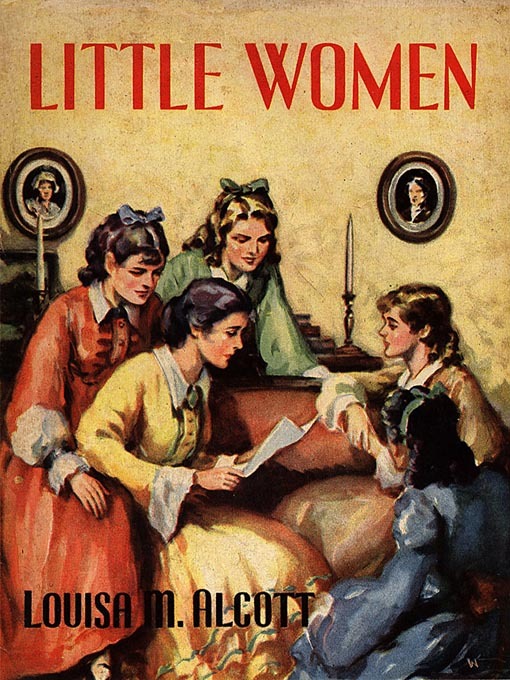 Louisa May Alcott’s Little Women is an American literary treasure that has been a favorite of mine for over a decade. The story of Meg, Jo, Beth, and Amy March is centered around themes of family, coming of age, friendship, life pursuits, heartache, and cherishing those things that are most important to us. The story begins with the four sisters coping with the challenges of life in Civil War America. While they’re used to a comfortable life, they now face the struggles of scrimping and pinching to help their mother, affectionately called ‘Marmee’, maintain their household while their father serves as a chaplain in the war. The experiences of these four sisters are not so unlike those girls face today. Meg and Amy deal with desires to be popular, pretty and well-liked. 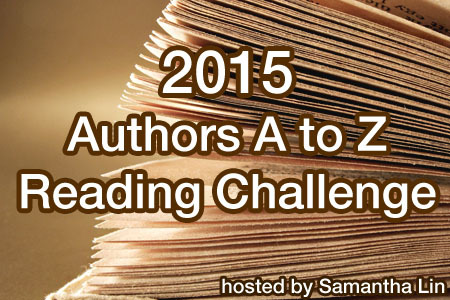 Beth learns to come out of her comfort zone and stay diligent. Jo, the heroine of the book and my literary doppelgänger, struggles with patience, social awkwardness, and finding a place for herself in the world. Throughout the mishaps, tears, and triumphs, Marmee keeps the girls grounded and focused on what’s important. 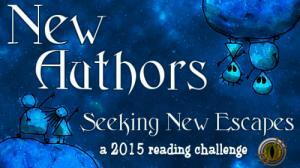 She challenges them to do their best in life and rise above their weaknesses and struggles. She encourages them to embrace their womanhood but also push past society’s narrow and sometimes silly expectations. She values simplicity, hard work, and truthfulness and wants her daughters to do the same. The story’s heroine may be Jo and the title may be Little Women but the woman behind these girls is a mother whose heart and soul helps to shape them into beautiful people. And it would do no good whatsoever to not mention Laurie, the lovable boy next door and Jo’s BFFL. 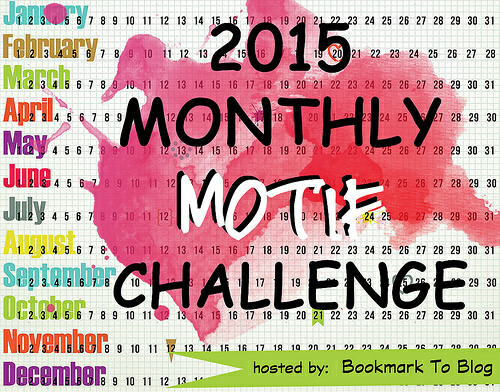 He’s got his own set of coming-of-age challenges that I totally appreciate and enjoy reading about. If you’ve read the book, you understand the struggle when it comes to Jo and Laurie. I don’t need to say more. It’s been over ten years and I still struggle sometimes even though I completely understand why. If you haven’t read the book, well, I’m not going to spoil it for you :). I love, love, love this book and will never tire of the book or the movie adaptations (there are 4 that I know of). It’s very sweet and charming. It’ll make you laugh, cry and may make you a bit angry at times but hey, that’s what a good story does right? 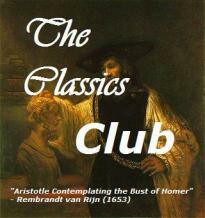 If it’s not there yet, I urge you fellow classic literature lovers, add it to your list of books to read! Okay, let’s switch gears in the discussion for a minute and talk a little history and language. This is a very American story. Four young women growing up in a turbulent society and while the book isn’t at all about the Civil War or its aftermath, it can’t be ignored that these girls are finding their wings in a time in history when America was redefining so much of its own identity. A lot was going on in the second half of 19th century America, including the world of literature. Alcott’s father was a transcendentalist. This was an American philosophy explored by several authors of the day including Nathaniel Hawthorne, Ralph Waldo Emerson, and Henry David Thoreau. Transcendentalists believe in the idea that people have knowledge about themselves and the world around them that transcends what we see, hear, taste, touch, and feel. A transcendentalist believes that they can trust themselves alone to decide what is right and wrong. This is not a philosophy I subscribe to but I recognize its place in American ideology, especially in this time period. So what happens when a story so engrained in it’s culture is translated into another language and culture? What must carry over into the new language in order for the story to retain its identity? I don’t know anything about translating literary works but I do know this – there’s more to a story than just the words on a page. If a translator can capture the life between the lines of a piece, then that is a job well done. After all, we read literature not just to consume words strung together one after another, we read literature to capture a piece of another time or place than where we are. Alcott’s Little Women evokes homey, cozy feelings in me as well as inspires a desire to pursue life to the fullest and do work that matters. That’s the beauty of a well-told story and each language, each culture does this in it’s own unique way. The woman who read and loved Little Women when it first hit the bookstores is quite different from a woman like me who reads and loves it more than a century later. But even though we have completely different lives, we both share an experience with the story. The same should go for a translated work. Little Women could be translated into any other language but the reader should still experience the warmth, the sense of home, and ‘Americaness’ that I imagine Alcott intended her readers to experience. I think when groups and cultures share their stories, we not only become better intercultural communicators, but we also become more empathetic in our dealings with one another and better apt to treat each other with understanding and respect. Translations of great works of literature, online content and conversations, and businesses can open people all over the world to wonderful experiences and add incredible depth to life. After all, we were made to communicate with each other, right? If the heart and soul that a writer or communicator puts into their work can be translated along with the words, translators and translation services like Smartling have extended the gift of that experience to those that the author could not originally reach. And that, my friend, is a beautiful thing! To put it quite simply, I love this book. 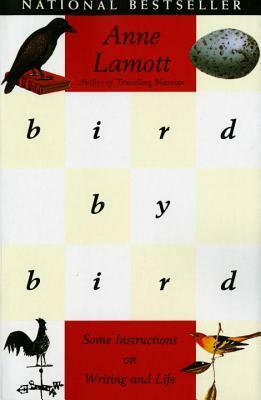 I loved when I first read it in high school and it remains one of my favorite novels. I think it is one of the greatest pieces of American literature ever penned! There is so much to love about it! And then, of course, there is the film. 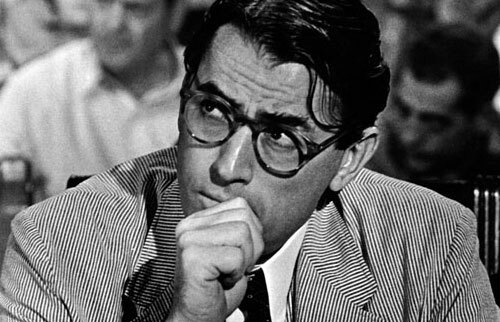 When I read Atticus Finch, I see Gregory Peck and as far as I’m concerned, that’s the way it’s meant to be! SPOILER ALERT: This post does contain spoilers!! You have been warned ;). Oh there so much to say about this book! I keep typing out sentences and deleting them, typing more and hitting backspace. Tom Robinson and Boo Radley and Mrs. Dubose and Miss Maudie!! There simply isn’t enough time! The brilliance of this story lies in the fact that its multi-faceted plot is seen through the eyes of a young girl. Scout is spunkiness personified. She’s curious about life and truly wants to know how and why things work the way they do. She actually puts me in mind of Beverly Cleary’s Ramona Quimby a little. Maybe it’s the hair. Maybe it’s the unfiltered desire to know about everything, to understand people and have them understand you. I think it’s a great coming of age story. 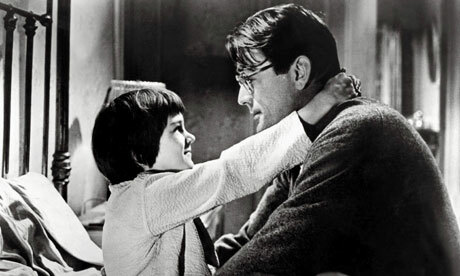 But of course, as much as we love to love Scout Finch, the real hero of the book is Atticus. And rightfully so. Here’s a man who knows who he is and what he stands for and doesn’t need to prove himself. He simply lets his life speak louder than his words. But oh, his words! This book is filled with some great quotes from this southern lawyer! 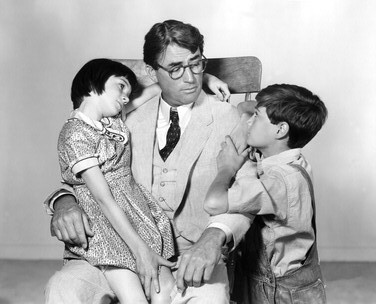 “For a number of reasons,” said Atticus. “The main one is, if I didn’t I couldn’t hold up my head in town, I couldn’t represent this county in the legislature, I couldn’t even tell you or Jem not to do something again. Yes. 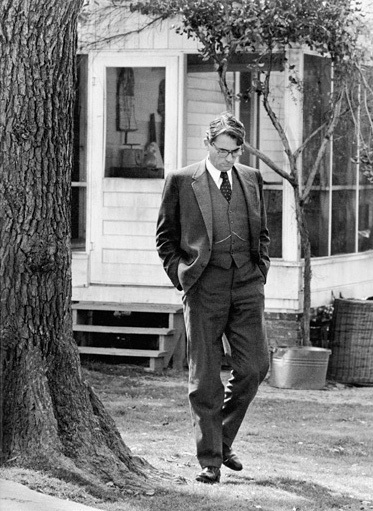 Atticus Finch is pretty much the coolest guy in American literature. His relationship with his kids is beautiful. His sense of duty to his fellowman is admirable. While he was out to fight for truth and justice, the knowledge that victory was pretty near impossible never swayed him. He understood that the Tom Robinson case was more than defending an innocent black man – as important as that was – it was about proving that his morals were more than just talk. Many people talk big but fail miserably when faced with the hard test. Atticus may not have won the case for Tom, but he proved that as long as there were others like himself who were willing to sacrifice all for the sake of justice, racial equality would eventually become a reality. 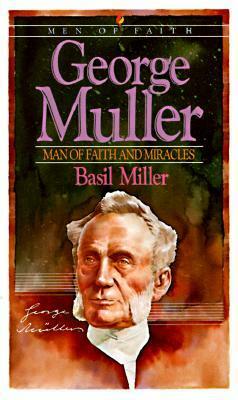 If you have never read this book, I HIGHLY recommend it!! And then watch the movie :). The Classics Club Spin was such a fun idea! And I’m so glad this book was my #14. On the practical side, it was short enough to fit into my crazy March days annnnnnd it’s on my TBR list so two birds, one stone. Oh yeah! You can’t come away from reading a piece like this without a greater desire to develop a more noble character, to be the kind of person who doesn’t give up or take ‘no’ for an answer, who reaches out for higher things, who knows that value isn’t determined by what other’s think of you. Fredrick Douglass, was and did all of these things. He is an American hero. The story of Fredrick Douglass is one of heartache and injustice and triumph. It’ll make you mad and want to knock a few heads together. It’ll have you cheering when a young man refuses to be whipped by his inane master and fights back or when a group of slaves quietly learn to read on Sunday mornings. It will have you thanking God that we no longer live in a time where it’s lawful for one American to own another. It will have you wishing you could search out the evil men in every dark corner of this country and the world who are still making money from modern slavery. I’m not going to spin out the history he shares in this autobiography – it’s a short enough read that you can learn of it yourself in no time at all – rather, I want to share a couple of the quotes that I found especially poignant and awful in their searing truth. BAM! And that’s not even the whole thing, he goes on and it was…moving to say the least. It’s like when the pastor says something that resonates with your entire being and you can’t help but say, “Well!” or “Have mercy!” or “Amen!” That’s me anyway ;). 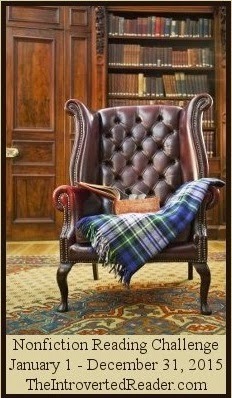 I read this book on my Kindle but really want to get a hard copy for my bookshelf! It’s worth adding to the collection. 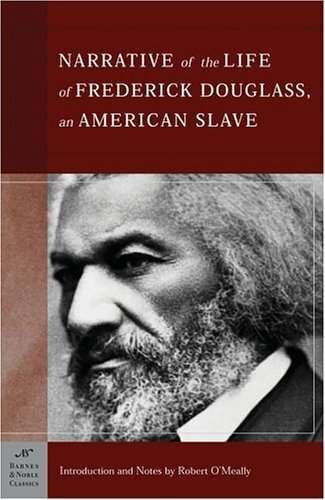 And I’m going to add Douglass’s other books to my reading list!! I’m not even sure what to say about this piece. Halfway through, I checked the reviews on GoodReads and was surprised at the 5 star ratings. I guess I shouldn’t have been surprised cause this is such a popular piece of American poetry…but still. I figured I had to be the one with the problem. CAUSE I COULDN’T MAKE HEADS OR TAILS OF THIS POEM! Maybe it was because I read it on my Kindle and that might have messed with the lines, the flow of which are, of course, hugely important. Maybe it was too modern?? The imagery was lost on me. It jumped around and went in weird directions. I don’t know, I just was not feeling it at all! Sorry Mr. Elliot, but if someone were to ask me what your great work was about, I’d have no idea how to answer! 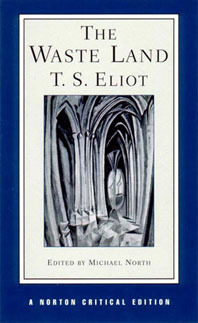 Any of you T. S. Elliot fans out there have any comments as to what I was missing in my Waste Land experience? I just was not impressed at all :(. 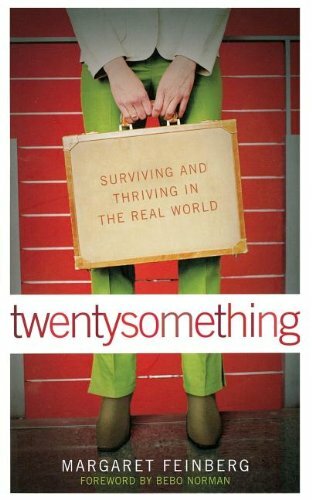 On a bit of a lighter note, this book was not only on my Classics Club list, it was apart of A Modern March, and also counted toward the Nerdy Non-Fiction Reading Challenge 2013! 3 birds, 1 stone. Booyah! I really do need to hop into bed but I have to finish this review while the material is freshest in my mind. 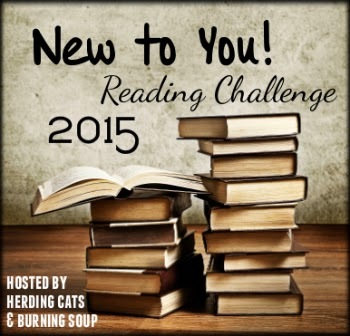 Today I finished Gretchen Rubin’s The Happiness Project as part of a book swap with my friend Eddie. I must say, it was quite the delightful read! 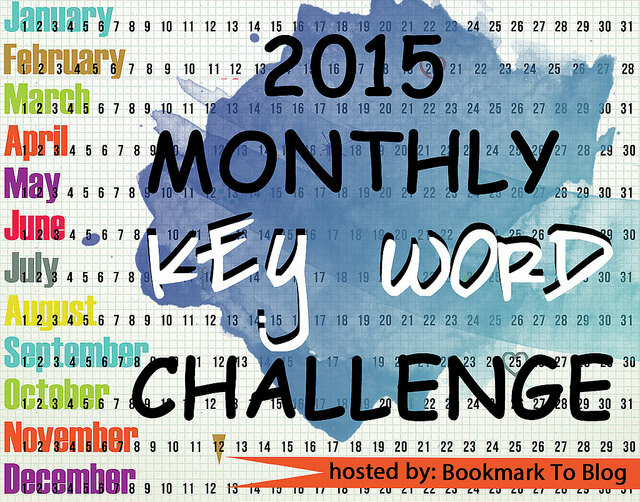 It was light, funny and the writer in me jumped at the bits of lists, quotes, and tips! I’m happy I read it ;). SPOILER ALERT: If you have not yet read this book and plan to in the future, keep reading. I won’t give too much away! ;). Gretchen Rubin was happy. Or so she thought. One day, on a crowded bus, she realized that she wasn’t as happy as she could be. She wasn’t taking the time to enjoy the present. She realized that “The days are long, but the years are short,” and if her life was going change, she would have to change it. So after much reading, thought, and questioning, she set out on a year-long happiness project. She decided to set resolutions for each month of the year targeting different areas in her life from ‘Tackling a Nagging Task’ to ‘Give Proof of Love’ to ‘Laugh Out Loud’. 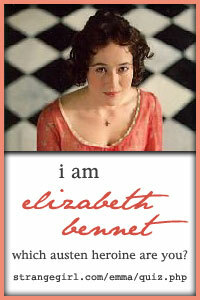 All the while she continued to glean inspiration from her favorite writers from past generations. Some of what she discovered along the way about herself and her family proved surprising. Determined to be Gretchen, she remains honest with herself as she struggles to break bad habits, acquire new skills, play more often with her girls, and quit nagging her husband. In the end…well I’ll leave that for you to discover. Let’s just say that with all adventures in self-discovery, there really isn’t an end. There’s always more to learn, more to work on, more to experience. 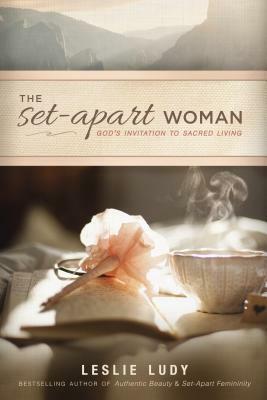 I, of course, couldn’t help but filter this book through the lens of the Christian experience. Everyone is searching for happiness, contentment, and fulfillment in life. 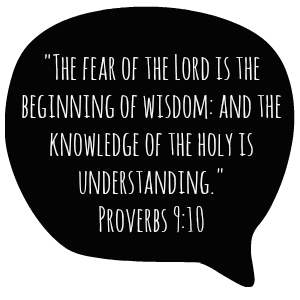 While I think that it’d do everyone a world of good to look for the tangible things that can improve that which is intangible, I personally believe there is a peace that passes all understanding and that is something that can only come from knowing Jesus Christ for yourself! 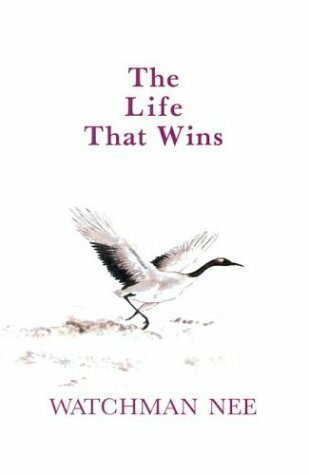 And I may be grasping at semantic straws when I say that I’m not looking for a happy life so much as I’m seeking to live a joyous one. 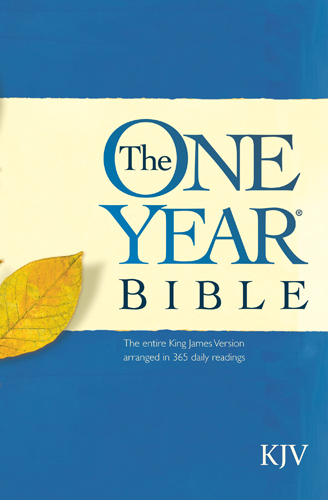 And that idea struck me even deeper this afternoon when I went on the Christian Audio website to check out this month’s free audio book. I chuckled when I saw the book cover. How funny is that? 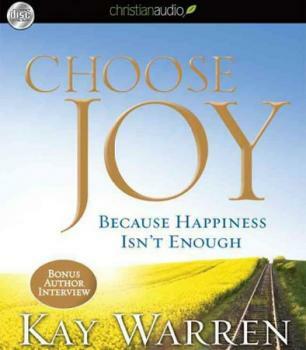 I’m looking forward to what this author says about joy and happiness! 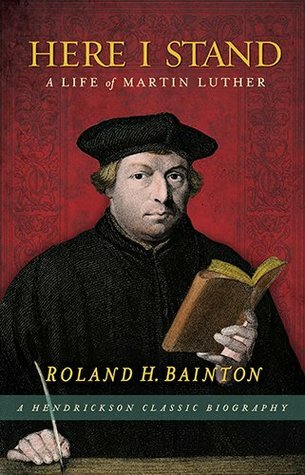 You can download the audiobook for free this month at christianaudio.com. 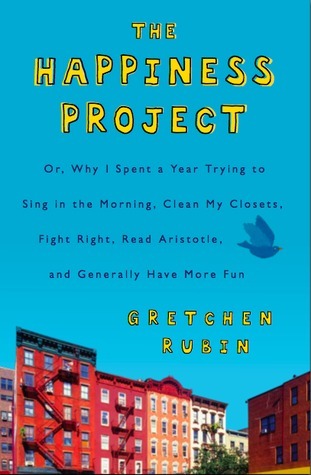 Have any of you read The Happiness Project? 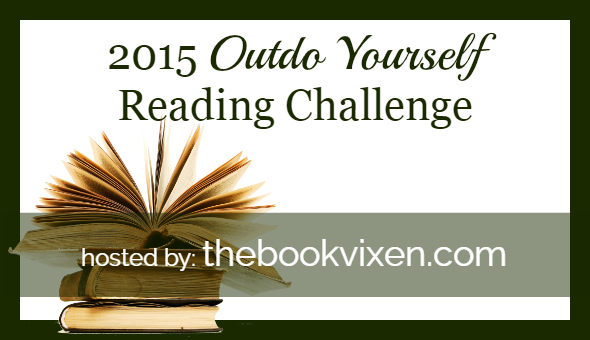 Better yet, have you embarked on one of your own? What do you think about happiness and joy? Is there a difference? I’d love to hear your thoughts! My mother first read me Betsy-Tacy when I was a very little girl and I followed their story all the way up through their adult years. 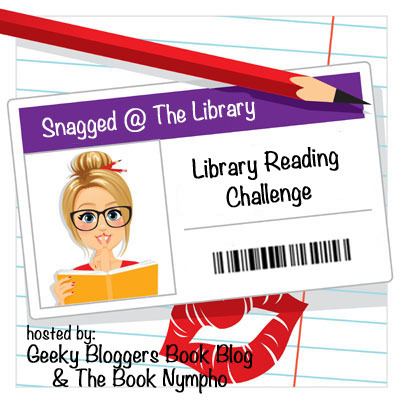 I loved every page! Revisiting Deep Valley and the Big Hill and the simple pleasures of a world gone by was very sweet indeed! And I must, of course, mention Lois Lenski’s charming illustrations. I don’t know if any of you have read any of her books but her work is especially nostalgic for me and my mother <3. 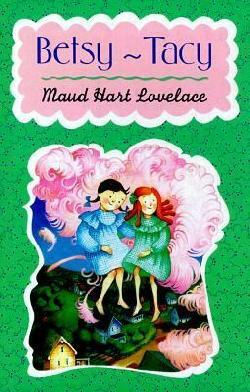 Maud Hart Lovelace (what a romantic name, yeah?) begins her story by stating that it’s difficult to think of a time when Betsy and Tacy had not been friends. I think that is too cute! And to see how much our language has changed over time! I don’t know any child today who associates cheese with apple pie! Peanut butter and jelly, yes. And who eats mush and milk anymore? Today it’s cereal and milk! So the story of these two besties begins with 5 year-old Betsy Ray who lives in “a small, yellow cottage”, “the last on her side of Hill Street”. She reminds me of little Laura Ingalls in Little House in the Big Woods with her brown braids and wide-eyed wonder and vivid imagination. Across the street, stood a “rambling white house” which was, of course the last house on that side of Hill Street. To her delight, a new family moves into the white house across the street and they have a little girl just her age! After a rather humorous meeting cumbered with a bit of a misunderstanding, the two become inseparable! Betsy, bright-eyed and full of stories and shy Tacy, eager to listen and ready to join in the fun. Reading about their afternoons with paper dolls cut out of fashion magazines, dressing up in grown up clothes and going calling, coloring white sand with leftover Easter egg dye and selling it, and taking their supper plates to eat together on the bench on top of the hill, makes me wish that I had grown up in another time. A simpler time. Granted, I love technology and all the great conveniences it affords but sometimes I get tired of the constant bombardment and long for quiet afternoons, homemade laughter, and the sweet joys that can’t be bought with money or achieved with a smartphone, television or laptop. But alas, God saw fit to place me in this period so I love it for everything wonderful it has to offer while occasionally slipping in the past to enjoy tea in china cups, buggy rides, and trips to the general store! 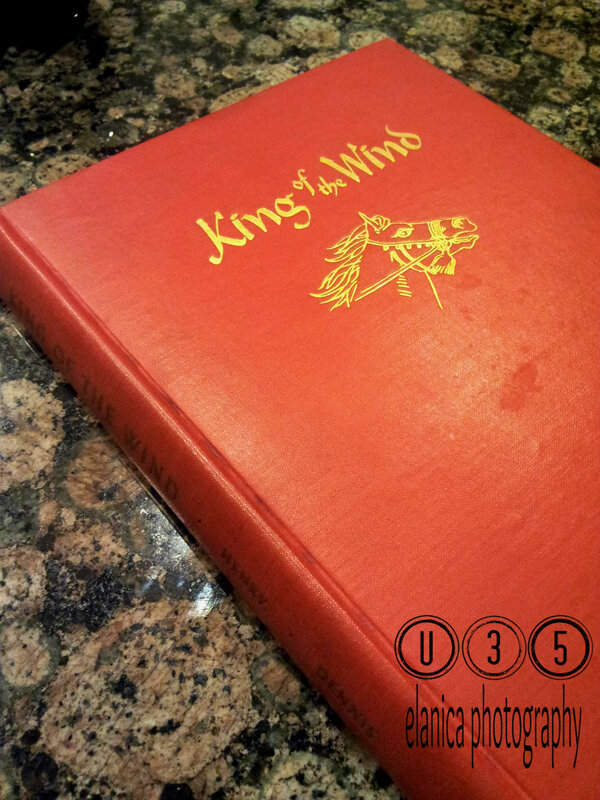 I’m not usually a huge fan of animal stories but King of the Wind is one of my childhood favorites. As with many of the books I devoured as a little girl, I listened to this on tape before I ever picked up a hard copy. I read it once or twice after that and thoroughly enjoyed it every time! A couple months ago, I bought this beautiful red hardcover copy at a used book store since I no longer had my old paperback copy. 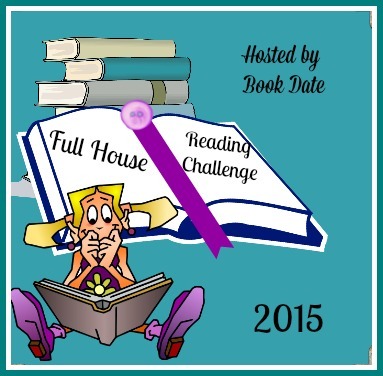 When I decided to participate in the Children’s Classics Event this month, I knew this book had to be on my list :). King of the Wind is a story of Agba, a horseboy in the stables of Moroccan Sultan, Mulai Ismael, and Sham, his beloved bay stallion. 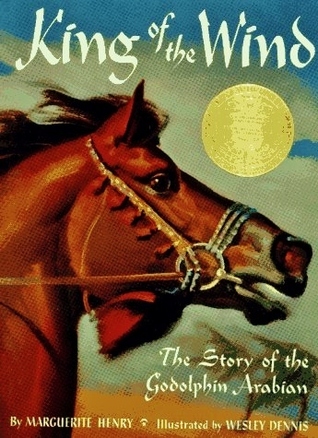 I suppose, since the title is King of the Wind, it would be more correct to say the story is one about a bay stallion named Sham and his devoted horseboy Agba. It could go either way, so deep is their friendship, so strong is their reliance upon each other, so intertwined are their lives. It really is a sweet story of keeping promises, staying true to one’s duty, and becoming who you were born to be. 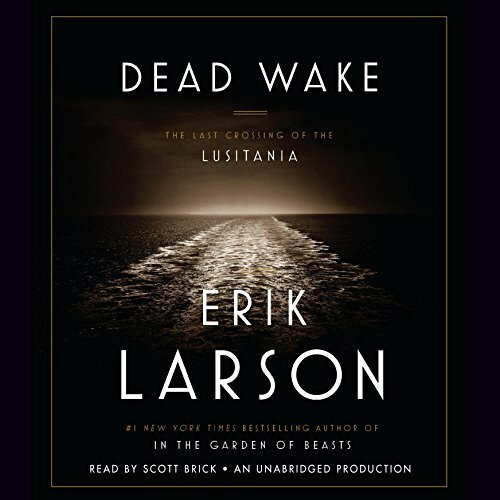 As I was reading, I was constantly amused at the fact that I kept hearing the story narrated in the voice from the audiobook I listened to so many years ago! It’s funny the things your brain recollects! The language Henry uses is absolutely delightful! My favorite bit is her description of the Sultan. Upon hearing that he is to go before Sultan Mulai Ismael, Agba is terrified that his life will come to an abrupt and untimely end. His fears lessen considerably when he sees the great man himself. Agba would not have been surprised in the least to see him rise up and swing along through the garden, stopping to feed on the leaves of the orange trees and the jasmine bushes…. I don’t know why but that has always tickled me! 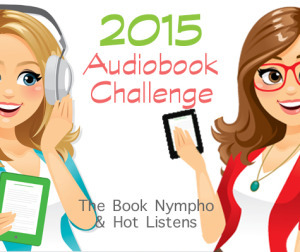 Perhaps it was the way the narrator on the audiobook read it, I don’t know! In any case, the misadventures that Agba and Sham continually face in their travels are, at times, heartbreaking but in the end make their success that much sweeter. I sometimes wonder how the story would have gone if Agba could speak but it’s foolish to consider because that’s a huge part of why the story is so poignant. Here’s a boy who, handicapped though he may be, will fulfill his promise to Sham and carry out the Sultan’s orders, come what may. It made me think of how much I want to use my weaknesses as a crutch and excuse as to why I can’t do what know I was meant to do. It’s stupid. It’s stupid to give room to negativity. When you know you’ve got a job to complete, a mission to accomplish, a dream to fulfill, a promise to keep, you don’t listen to the naysayers, you fight for success. You pray that you don’t miss opportunities and open doors. You wait patiently for your next big chance. You learn from your mistakes and pick yourself up when you fall flat on your face. It’s one of the great things about life. You try again and again and again until you get it right. And you will get it right. I got all that from a story about a horse and his boy? Yes. That’s why I love the simplicity of childhood. If you let it, it’ll continue to speak to your adult heart <3. 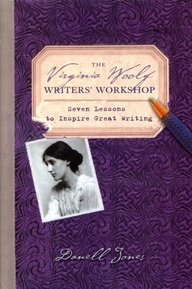 Last month I read this delightful little book by Danell Jones called The Virginia Woolf Writer’s Workshop: Seven Lessons to Inspire Great Writers. 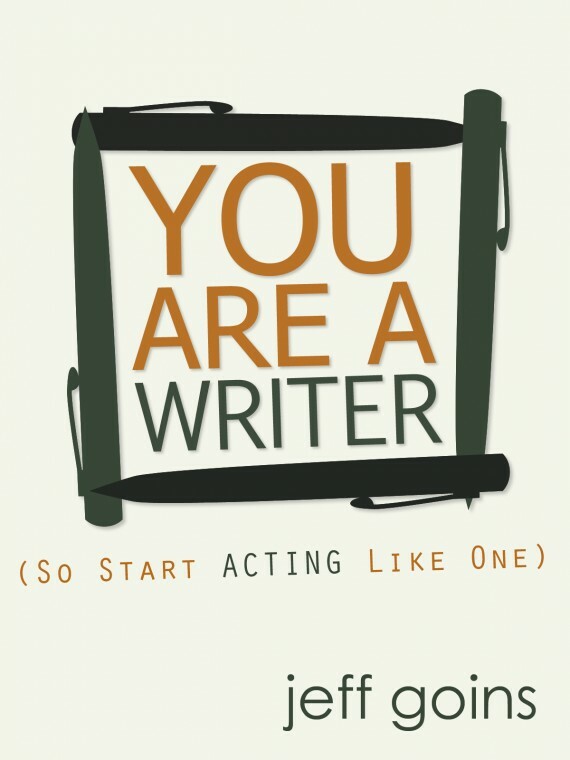 In it the author creates an imaginary writing class conducted by Virginia Woolf. She uses lines directly from Woolf’s diaries, essays, and letters to teach seven lessons to, as the title says, inspire great writing. While I didn’t agree with all of Woolf’s ideology or even methodology, I did take her advice and decided to take the writer’s notebook more seriously. When I finally decided to quit editing myself, I was able to write freely, something that I’ve struggled with for years. It’s hard to keep from making sure every ‘i’ is dotted and every ‘t’ crossed but it’s completely necessary when getting your thoughts and ideas on paper. When I made the conscious effort to just let myself write, I was able to crank out twenty pages in one day, something I hadn’t done in a long time! It felt wonderful!! The rest of the book was amusing and well put together. Again, I didn’t agree with everything Woolf writes but I was able to reap great bits of advice. 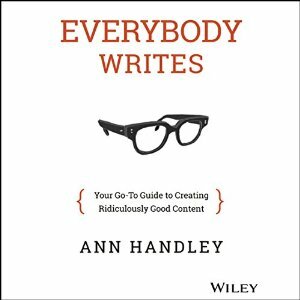 If you’re a writer and need a pick-me-up, this book is worth a read. What books have you read to inspire great writing? I’d love to read your thoughts!